Torchbearer of Porta Portese – Mithraeum. Our Common Sun. 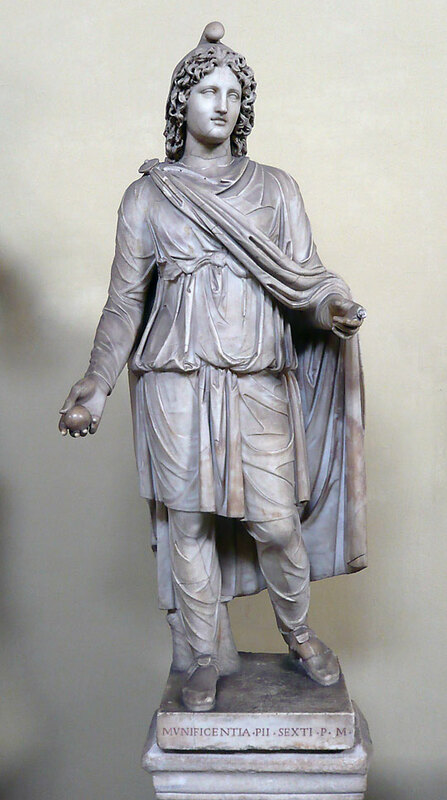 Marble, Roman artwork, 2nd�3rd century CE. From a Mithraeum outside Porta Portese in Rome, 1785. Torchbearer, restored as a Paris. It may appear from the attitude, that he held the torch downwards with both hands; not cross-legged. Restorations: parts of face and attire, of the l. foot and trunk; the l.h. entirely. Dating: III century A.D. – IV century A.D.